We are Supplier & Exporter of Carbon Steel Pipe Flanges, CS Slip on Flanges, Carbon Lap Joint Flanges, Carbon Steel Blind Flanges Manufacturer in India. Developed with dedication and enthusiasm, our products live up to their expectation of providing state of art services to our clients. These products are designed adhering to industry standards and norms using optimum quality raw materials obtained from trusted sources of the market. High resistance to wear and tear and optimum performance make the Carbon Steel Flanges a prize carnation for its customers. 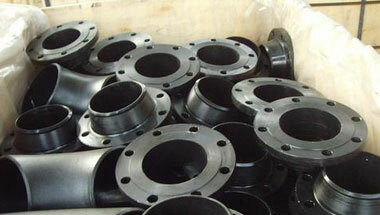 Carbon Steel Flanges availabe types of slip on flanges, blind flanges, orifice flange, forged flanges, socket weld flanges. There are lots of super qualities and features of Carbon Steel Flanges such as they are long-lasting, Abrasion resistant, Corrosion resistant, Optimum quality, High tensile strength and very much robust. 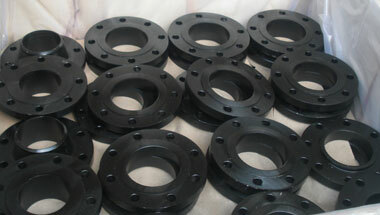 Comes in dissimilar types such as Drip Rings, Orifice Weld Necks, Spectacle Blinds, Slip On, Long Weld Necks, Weld Neck, Lap Joint, Screwed, Socket Weld, Special Flanges and others, they are at length appropriate in modern water works industry, petrochemical industry, piping infrastructure, and so on. Morocco, Thailand (Bangkok), UAE, United States, Italy, Indonesia, Iran, Peru, Canada, Israel, Nigeria, Sri Lanka, Mexico, Russia, Malaysia, Argentina, Bahrain, Algeria, Dubai, Saudi Arabia, Cameroon, Africa, Germany, UK, Kazakhstan, Uganda, Mozambique, Sudan, Azerbaijan, Iraq, Houston, New Zealand, Angola, South Africa, Egypt, Ghana, Venezuela, London, Kuwait, Chine, Ethiopa, Australia, Tunisia, Vietnam, Trinidad and Tobago, Turkey, Jordan, Democratic Republic of the Congo, Brazil, Colombia. Istanbul, Accra, Mbuji-Mayi, Casablanca, Cape Town, Ouagadougou, Pretoria, Luanda, Douala, New York, Jerusalem, Bamako, Bethlehem, Maiduguri, Abu Dhabi, Johannesburg, Sharm el-Sheikh, Abidjan, Tel Aviv, Kaduna, Amman, Cairo, Dubai, Aqaba, Colombo, Mogadishu, Giza, Benin, Hong Kong, Addis Ababa, Khartoum, Durban, Manama, Freetown, Zaria, Cairo, Mecca, Bulawayo, Dar es Salaam, Singapore, Lusaka, Port Harcourt, Jeddah, Subra al-Haymah, Antananarivo, Dammam, Soweto, Fez, Conakry, Lagos, Nairobi, Kano, Kolwezi, Kampala, Harare, Ibadan, Doha, Alexandria, Data from the UN, Beirut, Riyadh, Muscat, Brazzaville, Algiers, Lubumbashi, Kinshasa, Port Elizabeth, Rabat, Dakar, Maputo, Byblos, Tehran, Tripoli, Yaoundé, Omdurman.